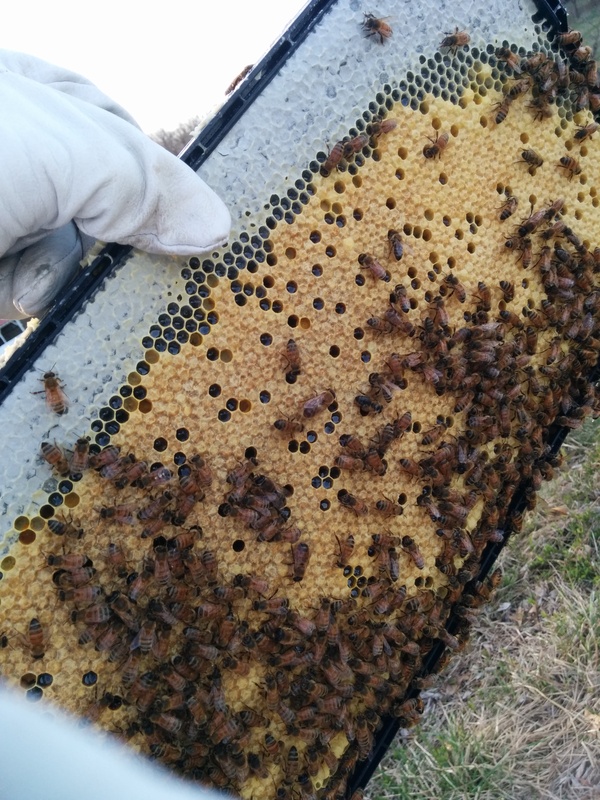 One of the most fascinating things about watching these industrious creatures work is how the comb has morphed. The white is fresh, natural wax first produced by the bees. 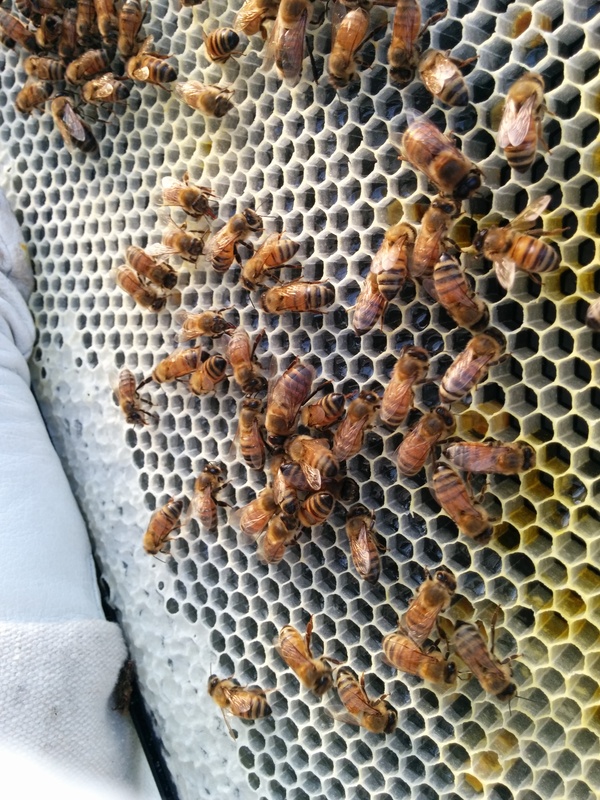 As honey and pollen begins being deposited into the comb, it turns a brownish color that strongly contrast against the pure white of new wax. 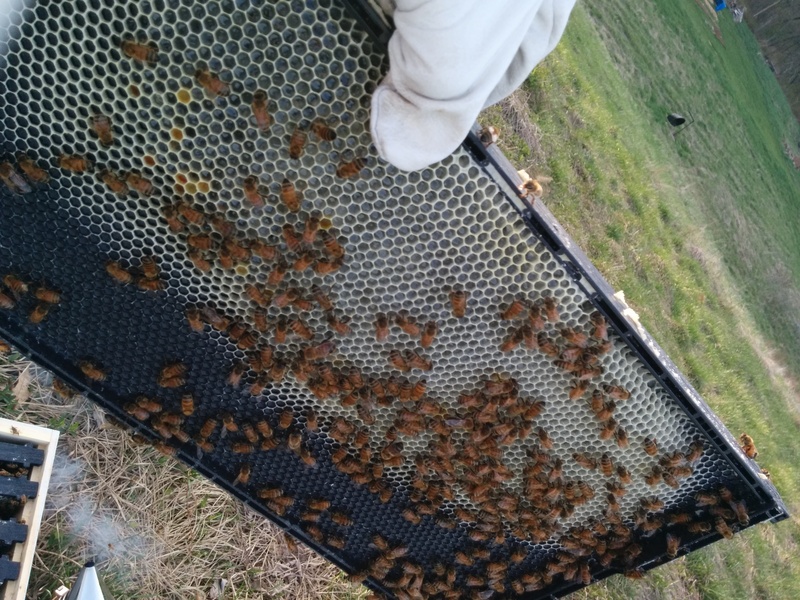 As eggs are laid and young bees are being raised, the bees will polish the cells containing their next generation yielding a yellowish comb. 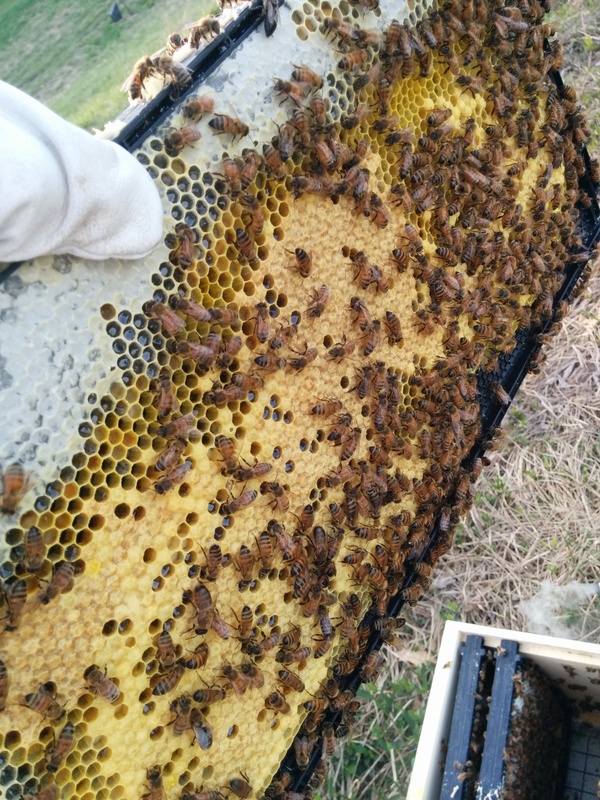 Two pictures of the same frame with honey and pollen deposits beginning. 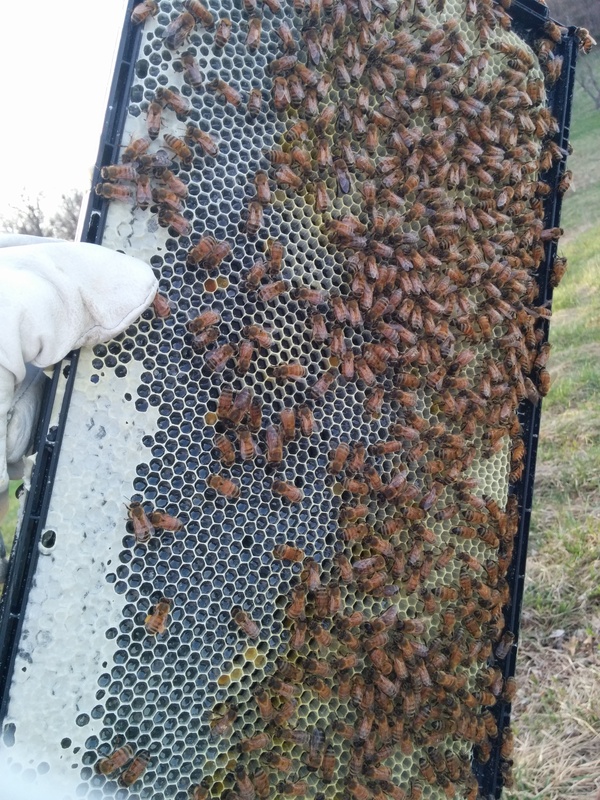 Other than a frame on which the queen was working, this is the most complete frame I have in my hives so far. I minimize the amount I handle the queen to avoid injury. → New Category: In the kitchen!